THE BUILD-UP TO THE FIRST GAME OF THE SEASON is always accompanied by a febrile sense of anticipation for the campaign ahead. Although the presence of Euro 2016 helped to ease the transition this year, the summer months can seem like an eternity, with only the endless maniacal speculation of the transfer window and meaningless pre-season friendlies to sate our lust. One set of fans who were more optimistic than most were those of Newcastle United. Despite an abject start to the 2015-16 season condemning them to relegation, results and performances had begun to turn around after the arrival of Rafa Benítez, and his decision to stay on at the club after their demotion had given plenty of cause for positivity. Benítez, with his undeniable star power and strong managerial record, was granted greater autonomy over transfer policy over the summer and oversaw the acquisitions of a number of high-quality, high-profile players while getting rid of some of those who had failed last year. In short, there was plenty for Geordies to be happy about. So by the time the first game of the season against Fulham, a curtain-raiser moved to a Friday so it could be televised, it wasn’t a question of if they’d beat the Cottagers, but rather by how many. Things didn’t exactly go to plan, though. A disjointed attacking display prevented them from creating any clear-cut chances and a shaky defensive shape suggested that their frailties from last year hadn’t been entirely ironed out. In the end they lost in the most Championship way imaginable: 1-0 away from home on a Friday night to a Matt Smith header from a corner. Welcome to the Football League, Rafa. Amid the frenzy of the hype machine – admittedly, predominantly stirred into action by pundits and bookmakers – there were suggestions that Newcastle would saunter to a league title and they were held as comfortable favourites. Despite their status as overwhelming frontrunners, there were a few fans expressing reservations about their manager. He’d managed to revitalise a deeply unfit-for-purpose squad in the top division of football even though their fate was effectively already sealed, but how would he negotiate the challenges of the drop in standard? Many cited the gruelling fixture list, the overtly physical nature of the league and the increased pressure of being such strong title favourites as potential obstacles for the Magpies, as well as casting aspersions over Benítez’s lack of experience at Championship level. He can win in Bilbao and Bari, but what about Burton-on-Trent? He bested Carlo Ancelotti in Istanbul, but could he beat Mick McCarthy in Ipswich? On the one hand, these concerns are patently ridiculous. After all, Rafa has spent the last decade and a half managing teams playing European football in midweek, so the Saturday-Tuesday schedule of the Championship shouldn’t be too unfamiliar. Likewise, managing well-resourced sides with title aspirations means that Benítez is no stranger to trying to break down sides who utilise physicality as a means to nullify more illustrious opponents. And, although his time at Real Madrid ended prematurely, his experience of managing high-profile clubs and his impressive record in cup competitions suggest that the Spaniard has devised some pretty effective coping mechanisms for dealing with the pressure of expectancy throughout his career. That said, perhaps these ideas shouldn’t be dismissed too readily. A quick look at the Championship table reads like the contents page of a guide to fallen giants and clubs ”too big to go down”. There are innumerable cases of ‘big’, well-supported clubs who have been thrown overboard the HMS Premier League and have been unable to arrest their descent as they plummet like an anchor into the abyss of the Football League. But the case against Rafa’s experience isn’t as justified. It’s not surprising that it’s been made; since his entrance into British football’s collective consciousness, he’s been associated with success. He arrived on these shores off the back of a pair of La Liga titles and a UEFA Cup win with Valencia and subsequently added to the trophy case on Merseyside, picking up the FA Cup in 2006, a year after that famous Champions League victory. A later spell as caretaker manager at Chelsea didn’t result in a contract extension, but it did end with a Europa League win over Benfica, so our exposure to Benítez in England has been associated with triumph. 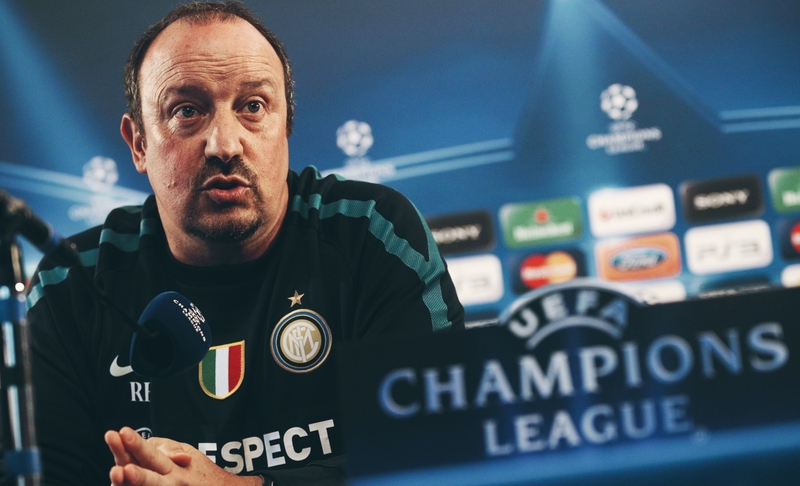 Even when he wasn’t managing in the Premier League, he has been in glamorous positions with Napoli, Internazionale and Real Madrid. Even though he experienced significantly less success with the latter two clubs in that list, the status of those jobs further cultivated the image of Benítez as an elite-level manager. It’s therefore understandable why some might perceive the challenge at St James’ Park this season to represent a departure from their manager’s comfort zone. Understandable, but flawed. In fact, Rafa has plenty of experience when it comes to getting sides promoted into the top division. It just happened before he was on the radar of most English football fans. Football managers, like the rest of us, don’t arrive fully formed. There are few instances where managers have gone into a top position as their first job and thrived. Most of them are forced to take a more circuitous route to the top, cutting their teeth in the lower divisions to develop their skills. This was the pathway that Benítez took. He started in the management game earlier than most; chronic knee injuries curtailed his playing career at 26 and he immediately joined the coaching staff at Real Madrid after retiring. 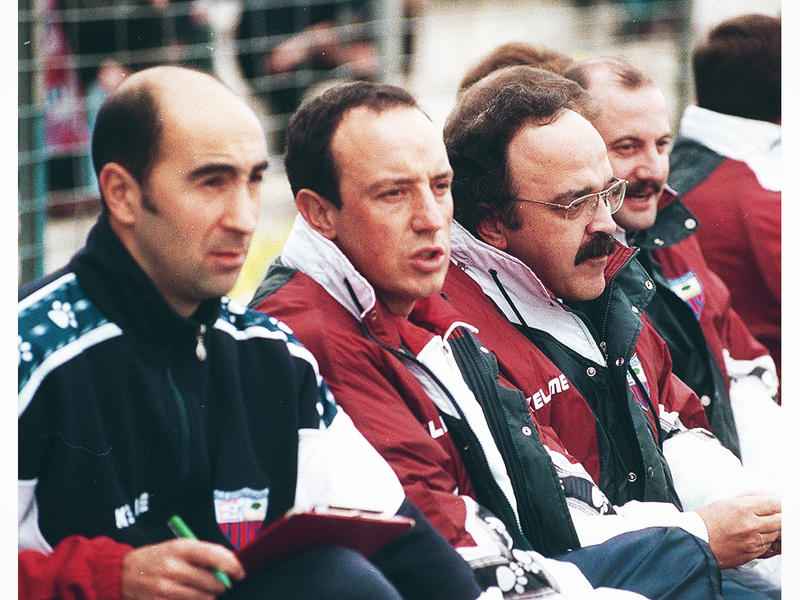 After a few seasons working with various age groups in the academy, Benítez had his first exposure to managing in the Segunda División with Real Madrid Castilla – a role he filled for two seasons, with a brief stint as first team assistant manager sandwiched in between. Although he achieved moderate success with Castilla, guiding them to a pair of mid-table finishes, his time in the capital is perhaps not reflective of his abilities to manage a side in the second tier. The aim and purpose of a B team is always going to fundamentally differ from that of an independent club, as player development, rather than promotion, is the end game and the key metric used to determine success. It didn’t take Rafa long to spread his wings to make it on his own, as he moved away from Madrid at the start of the 1995-96 season. Benítez’s first forays into solo management were so disastrous that it would have caused most people to question their aptitude for the job. Consecutive seasons at Real Valladolid and Osasuna, who during his leadership played in the first and second tier respectively, were equally calamitous and left him with a combined record of just three wins across both seasons. He was sacked on both occasions, leaving Osasuna after just nine games. It’s a testament to his resilience that Benítez opted to get straight back on the horse. You’d be forgiven for not knowing much about CF Extremadura, especially considering they no longer exist. The club, based in the town of Almendralejo, shared its name with the region in which it is situated, an area of western Spain close to the Portuguese border more renowned for its wildlife reserve and history of producing globetrotting conquistadors than for elite-level football. Now defunct after financial problems lead to dissolution in 2010, the club spent most of its life flitting between the regionalised third tier of Spanish football and the Segunda División before the 1990s, where football in the Extremadura region experienced a renaissance, with three clubs playing in the second tier. 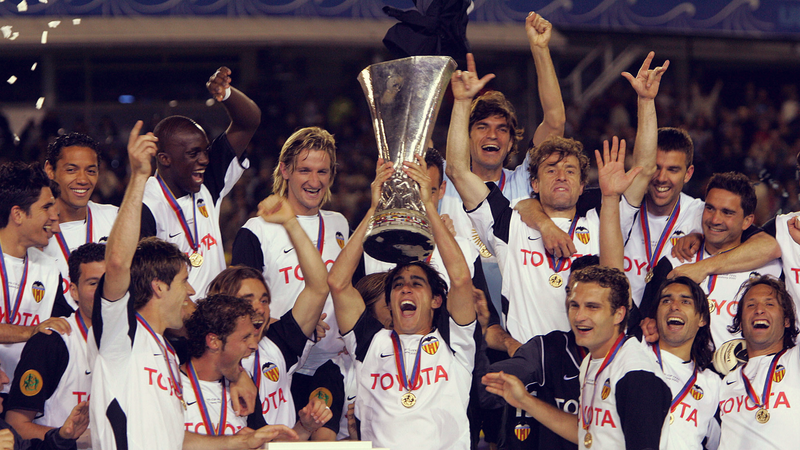 The 1995-96 season was the club’s most successful season to date, reaching the promised land of Primera División for the first time in their history, albeit it somewhat through the backdoor. They finished fifth, originally placing them outside of the promotion play-off places. However, the team that finished above them was Real Madrid B and, as B teams are prohibited from playing in the same division as their parent club, Extremadura took their place in the play-off. They weren’t about to look that gift horse in mouth and they duly took advantage, dispatching Albacete 1-0 in both legs to earn their promotion – even if it was on a technicality. Their elation was to be short-lived as the step up in quality proved difficult to surmount. A miserable start to their inaugural top-flight season essentially sealed their fate, as they lost their first nine games and had only managed to pick up a solitary victory by the halfway point of the season. They rallied at the back end of the campaign, but their efforts were futile as they finished one point shy of safety and were ultimately relegated. At the start of the race, they’d taken the starting pistol, shot themselves in the foot and then tried to run a marathon on it. The man holding the smoking gun, Iosu Ortoundo, was jettisoned, and Extremadura were left to rebuild. In what surely bodes well for Geordies everywhere, Benítez took a recently relegated side and took them back up at the first time of asking. The challenge may be vastly different in terms of the size and resources available to club but it’s heartening to know that he has experience of reconstructing fractured confidence, of exorcising the psychological demons that relegation can bring, of assembling a squad that is capable of bouncing back at the first attempt. A runners-up finish behind Alavés was no mean feat and the success of that campaign was founded on two things: a solid defence and a prolific centre-forward. Regimented defensive organisation meant that Extremadura conceded just 38 goals – fewer than one a game over a 42 game season – meaning they had the second best defensive record in the league behind the eventual champions. Meanwhile, at the other end of the pitch,they were carried by the instincts of Igor Gluščević, whose 24 goals made up over a third of his team’s total and were enough to earn him the Segunda División Pichichi, the Spanish equivalent of the golden boot. The form of Gluščević – a Montenegrin mountain, a man with the turning circle of a frigate and twice the firepower – was remarkable, given that he’d joined the previous year and only managed to score twice in the Primera División throughout the whole season. It was a drastic turnaround, and whether it was an additional year of experience or simply a case of a player thriving after playing at a standard more suited to his abilities, Rafa deserves at least some of the credit for this. Strikers, more than other players, are creatures of confidence and only managing to score twice in a whole season, even at a high standard, is bound to be demoralising. That Benítez was able to rejuvenate his front man after such a disappointing season is a positive omen for Newcastle’s misfiring frontline, perhaps especially for Aleksandar Mitrović. While it may seem lazy – and highly inadvisable – to draw such close comparisons between the Serbian and the Montenegrin, the connection extends beyond a shared Eastern European heritage. Both are strong, physically imposing strikers in their early-20s who, after struggling and looking slightly out of their depth in their first season a major European league, find themselves spearheading a side aiming for promotion. If Benítez can get a similar goal tally from Mitrović then it’ll serve Newcastle well. A look at the rest of the CF Extremadura promotion squad reveals another Benítez trademark: heavy rotation. The 1997-98 season saw him use 23 different players across 42 games: 16 of whom started more than 10 games and 21 of the 23 made more than 10 appearances. Rafa’s always been an adherent to the spinning plates approach to squad management – frantically dashing across the stage, desperately trying to keep everything in sync, trying to ensure many disparate elements are moving at the same pace, in the same direction in the hopes of stopping any serious breakages. It’s a policy that often earned him critics at Liverpool, but it worked here and it’s clearly been an integral part of his managerial philosophy since the start of his career. Given the vast overhaul of Newcastle’s squad over the summer, it seems like an approach that he is unlikely to deviate from, but it could pay dividends over the course of a long season. Rotation helped Extremadura get promoted, but it couldn’t keep them there and that might be cause for concern on Tyneside. Benítez fared better than Ortoundo and guided his side to their highest ever finish of 17th, but it wasn’t enough to keep them up. Sevilla pilfered Igor Gluščević, who helped them win promotion and Extremadura missed their striker’s cutting edge. They finished in the relegation play-off place and succumbed to Rayo Vallecano 2-0 in both legs. Benítez left his position and took a hiatus, a sort of managerial gap year, spending a year working for various news outlets across Europe before taking his next job – this time in the Canary Islands. 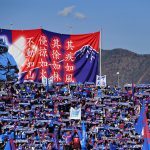 CD Tenerife had been enjoying the most prosperous spell in the club’s history throughout the 1990s, spending almost the entire decade in Primera División, with Jorge Valdano and Jupp Heynckes each leading the club to their best-ever finish of fifth. By the turn of the century, they’d started to fade and were relegated at the end of the 1998-99 season. A disappointing mid-table finish the following season suggested the club could be spiralling and Benítez, fresh from his break, was appointed to arrest the slide. Benítez’s tenure at Tenerife saw him achieve promotion in a similar manner to his time in western Spain, with a watertight defence (the second best defensive record in the division) providing the platform for an incisive attacking unit to play with freedom. Unlike with Extremadura, the goals were spread across the entire front line, with a pair of players who would become regular features in the Benítez roster providing the backbone to their attack. Mista was something of a Benítez favourite; he progressed through the youth ranks at Real Madrid under him and would go on to link up with his manager again at Valencia, where he is most fondly remembered for his winning goal in the 2004 UEFA Cup final against Marseille – a deliciously measured strike with the outside of his left boot from the edge of the box. Adept at intelligently running off the shoulder of the last man or peeling off his marker, Mista’s domain was the six-yard box and the golden-maned forward feasted upon tap ins and back post headers. In Tenerife’s promotion season, Mista weighed in with 10 goals and provided a focal point to allow his team’s attacking moves to flourish. He was supported from the left wing by Luís Garcia, who joined on loan from Barcelona and wreaked havoc for defences as he helped himself to 16 goals. 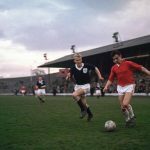 He was a slinky, impish player with an ability for evading the attention of defenders and a habit of arriving in the box with the anonymity of someone in a witness protection programme. At his best, he played with a sense of invention and mischief that made it no surprise that Rafa would turn to him again later in his career. The race for the promotion places was a tight one and it came down to the last day of the season. Andalusian power couple Sevilla and Real Betis were occupying the top two places. CD Tenerife, meanwhile, were level on points with Atlético Madrid – who featured some familiar faces like the league’s top scorer Salva Ballesta, Portuguese midfielder Hugo Leal and a fledgeling Fernando Torres – but knew that if they could pick up one last victory that they would seal promotion for themselves. In a result that would prove pivotal in how the table finished, Tenerife had gone to the Vicente Calderon in November and claimed an impressive win. The away side looked dangerous going forward early on but couldn’t find a breakthrough, while Atléti worked their way back into the game and clattered a header against the base of the post just before half-time. The home side scored the first goal, courtesy of some sort of perverse one-two. Aguilera’s run from right-back was halted by a slide tackle that sent the ball ballooning into orbit towards the edge of the box. Lussenhoff hesitated, allowing Salva Ballesta to win the header and nod the ball down to Aguilera, who had continued his run into the box unnoticed and elegantly lifted the ball over the goalkeeper. Tenerife’s equaliser was far more aesthetically pleasing. Barata picked the ball up on the right wing and swung a deep crossfield pass to the opposite corner of the box. From there it was all about Luís Garcia. He laid a masterful trap for Aguilera by taking a step away towards the edge of the box and shifting his body weight away from goal while the ball was in the air, before rotating his chest and cushioning the ball in the opposite direction. The defence was bamboozled and it gave Garcia the chance to breathe, light a cigarette and assess his options. He was patient, allowing the ball to settle enough for him to lash a laser-guided left-footed strike across goal into the bottom corner. The winner came from a mistake by the Atlético goalkeeper, who was coaxed into making a rash challenge after a tantalising through ball. There was no deliberation from the ref who blew for immediately for a penalty and the responsibility fell onto Luís Garcia to clinch the win. He lingered at the edge of the box, his hands on his hips, a gunslinger itching to draw his pistol. He picked his moment, picked his spot and the goalkeeper picked the ball out of the back of the net. 2-1. Job done. It meant that when they were tasked with travelling to Leganés on the final day the side from the Canary Islands knew that their fate was in their own hands and that a win would do it. Atleti took a 1-0 lead early in the first half against their Madrid neighbours Getafe which meant all the pressure was on Tenerife to find the breakthrough if they were to avoid being leapfrogged. Dani rattled the bar with a free-kick. Leganés cleared a trickling shot off the line. Tenerife had an appeal for a penalty for a blindingly obvious handball waved away. The label of “just not our day” was looming perilously on the horizon. With little under half an hour left to play, Rafa rolled the dice. He withdrew Dani in favour of Hugo Morales. It proved to be a masterstroke. Ten more minutes elapsed and despair started to creep in at the fringes and nerves were well and truly starting to fray. A soft free-kick for a late challenge by a Leganés defender offered a glimmer of hope though. Morales hovered over the ball. 30 yards out. Centre of goal. Go on, lad. Make yourself a hero. You didn’t need to ask Hugo Morales twice. Approximately 66 million years ago, an asteroid hurtled through the atmosphere and impacted the Yucatán Peninsula, hitting the Earth so hard it created a mass extinction event that devastated life on our planet and eradicated entire species from existence. And even that didn’t travel with the same velocity as Hugo Morales’ free-kick. He rolled the ball to Curro Torres, who was standing a yard away with his back to goal and who obligingly put his foot on the ball in preparation for the Argentine’s shot. Morales unleashed a furious strike, the sort that can only be achieved as a release of frustration. It rasped over the wall and past the goalkeeper who was utterly helpless to stop it. The Tenerife players collectively lost their minds and started flooding towards the corner flag. Morales led the way, grabbing the hem of his shirt and thrusting it out in front of him, wildly flapping it up and down like his balls were on fire and he was trying to put it out, his elbows flailing around like an over-caffeinated hummingbird. He wheeled around the corner and half way down the touchline before he collapsed and his team-mates poured on top of him, engulfing him in a tidal wave of baggy, navy shirts. Chances for a second goal came and went, and Tenerife had a lucky escape when Leganés crashed a shot off the woodwork in the dying embers of the game. But it didn’t matter. They’d won and claimed the final promotion slot. And what a goal to win a game and cap a season. It’s strange how slender the margins of success can be in football. Had those 90 minutes gone differently, had Tenerife not been promoted, it’s entirely conceivable that Benítez’s achievements could have been overlooked, causing to him missing out on the Valencia job. If Hugo Morales hadn’t scored that winner, his manager’s career could have taken an entirely different trajectory. But he did, and Rafa had a second promotion under his belt that provided the stepping stone for the rest of his career. After that initial loss to Fulham on the opening day and the patchy form that briefly followed, Newcastle seem to have found their rhythm, attuning themselves to the rigours of the Championship and look like a good bet to involved of the upper echelons of the table come next summer. When fans see Rafa, anthropomorphic bowling pin, wobbling around on the touchline trying to mastermind a win against Rotherham, they can rest assured that their man is no stranger to dragging teams out of the second tier. He’s done this before.